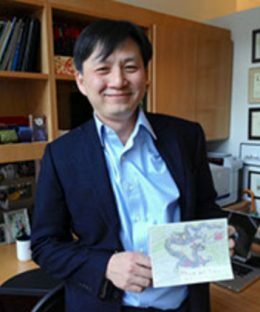 Dr. Hsieh is a physician-scientist and a board-certified medical oncologist from Memorial Sloan-kettering Cancer Center, specializes in treating kidney cancers. The Hsieh laboratory primarily focuses its efforts on translational kidney cancer research. The MSKCC translational kidney cancer program primarily utilizes patient materials to directly decode the molecular basis underlying tumorigenesis, treatment response, tumor heterogeneity, and cancer metastasis, and thereby offers personalized treatment regimens. They employ state-of-art research platforms to interrogate kidney cancer genomics, proteomics, and metabolomics. Furthermore, through building the molecular blueprint of kidney cancer pathogenesis, the lab wishes to develop novel mechanism-based therapeutics to better treat and eventually cure kidney cancer patients.